A project that works with farmers to aid declining wader birds in the Avon Valley has received a one-year extension. Waders for Real is an EU LIFE+ funded project started in 2014 by the Game & Wildlife Conservation Trust (GWCT). The primary purpose of the project extension is to expand the work to further key sites within the Avon Valley and enable more time for distribution of results to a wide audience. One of the main species of interest is the lapwing, a red-listed bird. Field assistant Ryan Burrell will be monitoring lapwing movements between the damp grassland of the Avon Valley and arable fields adjoining the valley, as well as measuring habitat improvements. He will be joining Jodie Case, who will be implementing measures to reduce predation of wader nests and chicks on hotspot sites to see which are the most efficient. Project officer Lizzie Grayshon, who has worked on the project since early 2015, believes the extra year will enable the project to leave a better legacy. “We are extremely grateful to have this extra year,” she said. “Bird numbers do not respond instantly to management changes and the extra time will better enable us to fully evaluate the most effective strategies for these nationally-important species. Over the past 25 years, GWCT has documented a 70 per cent decline in numbers of breeding lapwings and an 83 per cent fall in breeding redshank in the Avon Valley. 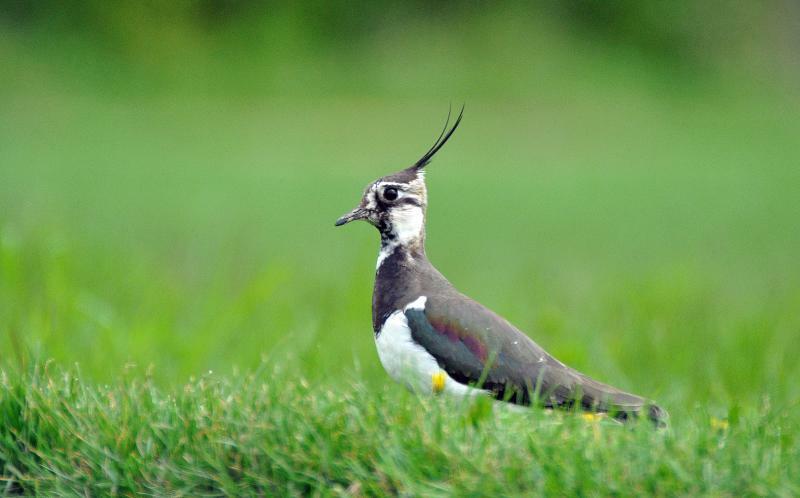 But since the project commenced, GWCT ecologists have seen increases in these nationally declining birds in the Avon Valley, with lapwing pairs increasing from 62 in 2015 to 81 in 2016 and then 69 in 2017. Many farmers and gamekeepers help by recording farmland birds such as barn owls, bullfinch, lapwing, grey partridge, tree sparrow and yellowhammer on their land during the Big Farmland Bird Count.